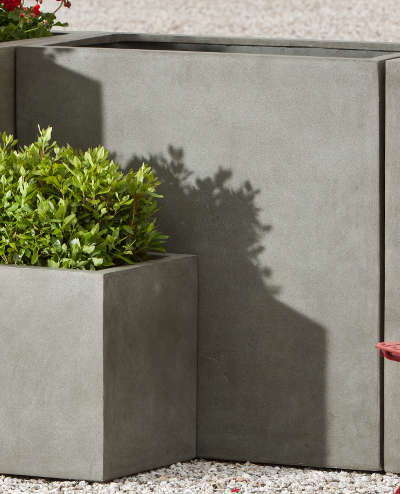 Concrete - Natural finish, blends in well to front of commercial buildings. claims, please call us at 925 234-3153. 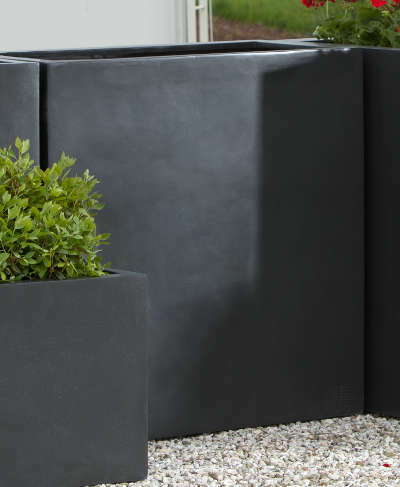 Place product on a solid level surface and not directly on grass, soil, or an uneven surface. ground surface over the winter, the freeze-thaw cycles may cause the planter to crack. 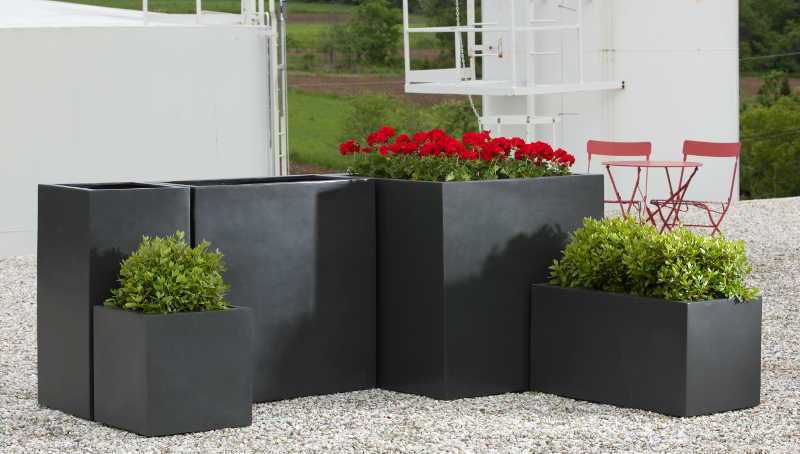 Planters are packaged with 95% recyclable material, including cardboard and 100% reusable natural wood Excelsior.